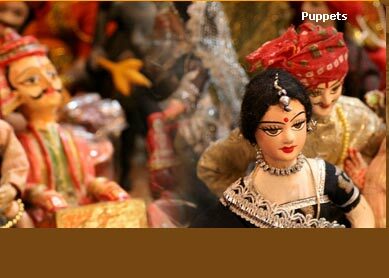 Places you visit : Delhi, Mandawa, Bikaner, Jaisalmer, Jodhpur, Bundi, Udaipur, Pushkar, Jaipur, Agra. 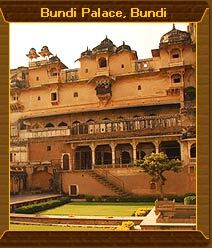 Highlights : Visit to numerous of forts and palaces of Rajasthan. See Taj Mahal at Agra. Enjoy Delhi sightseeing, and see many of its architectural wonders like Red Fort, Jama Masjid, Lotus Temple, Humayun Tomb and Qutab Minar. The tour includes visit to some of the most popular destinations of India. The Golden Triangular which consists of visit to Delhi, Agra and Jaipur has also been included in the tour. Besides, the specialised tour of forts and palaces of Rajasthan take to visit of heaps of forts and palaces, each having their own legend. Historical places of Rajasthan, Mandawa, Bikaner, Jaisalmer, Jodhpur, Udaipur and Jaipur are abode to numerous of forts and palace, which are rich architectural heritage of Rajasthan. Visiting these locations along with exploring other two historical cities of India, Agra and Delhi is full of unmatched historical and cultural exploration of India. Day 1 : Delhi. Arrive Delhi in evening. Drive with our representative from airport to the hotel. Day2 : Delhi. Take whole day sightseeing tour of Delhi, which includes visit to several historical locations like Red Fort, Qutab Minar, Lotus Temple, Humayun Tomb and Raj Ghat. Day 3 : Delhi-Mandawa : In morning, drive to Mandawa (Rajasthan). Afternoon, visit the famous Shekhawati region. Overnight stay at hotel. Day 4 : Mandawa-Bikaner : Morning sightseeing of several of Havelis like Aath Haveli Complex, Anandilal Poddar Haveli, Bansidhar Bhagat Haveli and Chokhani Haveli at Nawalgarh. Later drive to Bikaner. Stay overnight there. Day 5 : Bikaner : Enjoy sightseeing of numerous of forts, palaces and Rajasthani Havelis at this historical city of Rajasthan. Afternoon, rush to Camel Breeding Farm, and take up Camel Safari ride. Stay overnight at hotel. Day 6 : Jaisalmer : Drive to The Citadel City, Jaisalmer. Arrive there in evening. Spend night at hotel. Day 7: Jaisalmer : Today, you see many of forts and havelis of Jaisalmer. These are complexes famous for their architectural magnificence. Overnight stay at pre-booked hotel. Day 8: Jaisalmer :The whole day, you will be exploring the world famous Thar Desert of Rajasthan by taking camel safari ride. Enjoy photography at the renowned Sam Sand Dunes. Day 9: Jaisalmer-Jodhpur : After breakfast, drive to Jodhpur. Arrive here in evening. Stay overnight at hotel. Day 10: Jodhpur : Full day sightseeing of Jodhpur includes visit to one of Indias largest fort, Mehrangarh Fort, and Umaid Bhawan Palace. Overnight at hotel. Day 11: Bundi-Udaipur :. Drive to Bundi in morning. After exploring this historical city, drive further to reach Udaipur. Spend night there. Day 12: Udaipur :. Day-long sightseeing of Udaipur includes visit to numerous of its popular locations like City Palace, Eklingi and Nagda Temples, Jagdish Temple and Gardens Of Maids Of Honour. Overnight stay at hotel. Day 13: Udaipur-Pushkar :. Drive to Pushkar in morning. Reach there in evening, and stay overnight at hotel. Day 14: Pushkar-Jaipur :. Visit to famous Pushkar Lake and Pushkar Temple. Afternoon, drive for Jaipur. En route, visit to the famous Dargah of Sufi Saint Moinuddin Chisti. Arrive Jaipur in evening. Day 15: Jaipur : Full day sightseeing of Jaipur today includes visit to many of famous forts and palaces like City Palace, Amer Fort, Nahargarh Fort, Jantar Mantar and Hawa Mahal. Enjoy shopping in evening. Stay overnight at hotel. Day 16: Jaipur-Fatehpur Sikri-Agra. From Jaipur, drive to Agra. Visit to Taj Mahal and other famous historical monuments like Agra Fort. Enjoy evening boat ride at Yamuna river. Stay overnight at hotel. Day 17: Agra-Delhi. In morning, drive back to Delhi, from where you started your tour. According to your flight schedule, you will be transferred to the airport to catch you flight taking you back to your home. Visit to numerous of historical monuments bewitch you with their architectural excellence. Built hundreds years back, these historical edifice let you busied wondering at its unique craftsmanship. Many of the forts and palaces house museums, which have become popular tourists attraction, visiting to which will form great joy for you. While touring to Rajasthan, the home to world famous Great Indian Thar Desert, the best activity you can indulge into is Camel Safari. Discovering the Sam Sand Dunes while being on camel back give you a wonderful way to garnish your vacation. Do not forget taking pictures of your companions when they are trying to balance themselves suitably on camel back. Moreover, shopping at numerous of shopping centres of Delhi, Jaipur and Agra are favourite hang-out for shoppers. 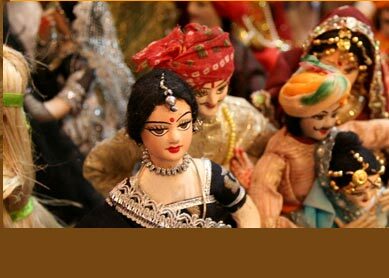 Best buy at these places are textiles, jewelery, marbles and handicrafts items.